Staying on top of water borne diseases becomes significantly easier with Legionella Control International’s City & Guilds legionella training courses, seminars and practical skills-based workshops. Held both in classroom environments and online, the C&G accredited training courses cover everything duty holders, the responsible person and health and safety risk managers need to know about the prevention and control of the water borne disease. 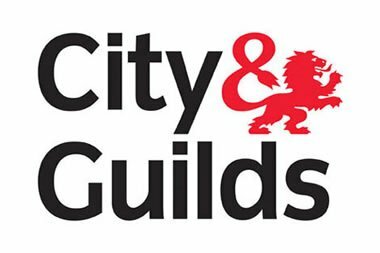 As a global name in vocational education, City & Guilds brings the highest level of certification to the company’s range of accredited legionella courses. The organisation offers over 500 industry specific courses across the UK, with an average annual intake of two million new British students. With the UK’s Health & Safety Executive citing insufficient management, lack of training and poor communication as major factors contributing to outbreaks of Legionnaires’ disease, educating risk management staff should be of the utmost importance. In order to prevent outbreaks of the serious lung infection, it is essential for risk control managers to be given the right training in order to develop a complete awareness of the risks and their responsibilities in preventing and managing them. As well as initial training, knowledge should also be kept up to date with regular refresher courses. Our City & Guilds accredited courses offer an easy and accessible platform for risk managers of all levels to receive the specialist training and information they need to safeguard their workplaces against the risk of a Legionnaires’ disease outbreak. Each course has been specially developed to meet the needs of risk managers working at all levels of technical competence and experience. From company directors and facilities managers to health and safety specialists and engineering staff, the courses are ideal for ensuring those responsible for the control of legionella related risks stay educated and competent. All our C&G accredited legionella training courses are delivered by industry veterans with several years of experience in the legionella control, water treatment and regulatory compliance sectors. As well as City & Guilds accreditation, Legionella Control International training courses are also approved by the Legionella Control Association (LCA), the main industry body. This gives course attendees the absolute peace of mind that they are receiving the highest standard of training the industry has to offer. Courses include legionella awareness training: Hot and Cold Water Services and Other Risk Systems, responsible person training: Control of Legionella Bacteria in Hot & Cold Water Services and Other Risk Systems and Legionella Refresher Training – LCA 9020. UK course locations are held across the country in Belfast, Birmingham, Bristol, Bracknell, Dublin, Edinburgh, Glasgow, Leeds, Central London, Manchester and Newcastle. International attendees are also welcome to join via the online sessions.